Sewmotion: Moving house means Sale time! Moving house means Sale time! After five long months we're finally moving into our new house! I'd be lying if I said it's been an easy process, I always forget how long these things take! 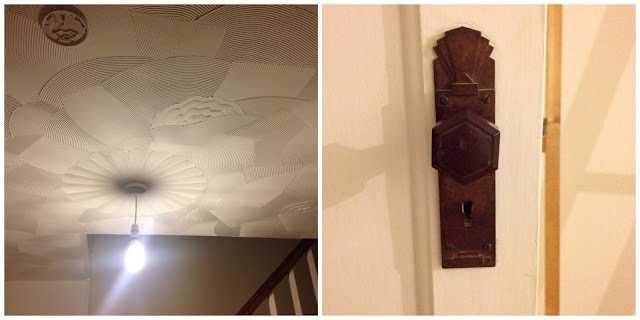 Anyway, we're moving into a 1930s 3-bed semi in the lovely area of Linthorpe Village in Middlesbrough - complete with wood chip wallpaper and the most expressive artex I have even seen. It's strangely growing on me, much to Justin's annoyance! One thing we do agree on though is the beautiful log burner in the front room and these wonderful door knobs - aren't they cute! With no time or budget to tackle the wood chip, for now I've decided to just whitewash the second bedroom which is to be my studio, I'm sure once I've got shelves of fabric adorning the walls and some pictures and hangings up, I'll forget all about what's lurking underneath. While packing up my room, which seems to be taking forever, I've realised how much stock of handmade items I actually have... and I really need to make room for 2017's creations. So I'm having a little pre-Christmas sale, it is now December after all. 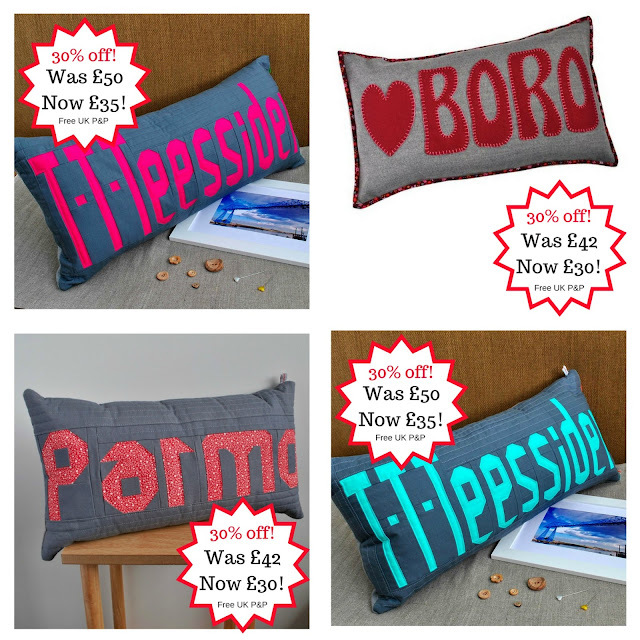 I've reduced my Teessider Cushion Collection by 30%, this is a great opportunity to grab a one-off gift for someone from, or maybe living away from, the North-East. Maybe you've got a homesick student who would like to be reminded of home now and again. Click below to see the whole range. Amazingly moving house has made us get ahead with our gift shopping just to get it out of the way, and I know I'm not alone! So I've taken 20% off selected smaller gift items in the Sewmotion shop, including coin purses, pencil cases and make-up pouches, perfect stocking fillers, gifts for school friends, or secret santas. Click below to see the collection. 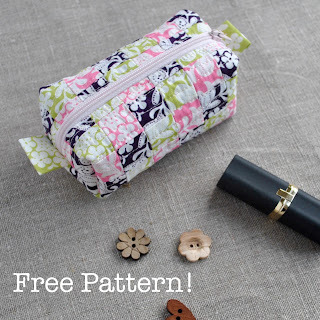 This month's free Pre-Cut Party pattern is for this cute Bargello Make-up Pouch which uses 2.5" strips and a clever tube technique to create this staggered squares pattern. I also show you how to make up your quilted panel into this pouch to hold all your everyday essentials - also great for last minute gifts! For this free pattern, just subscribe to the Newsletter for the link to this and past patterns based on quilting pre-cuts.